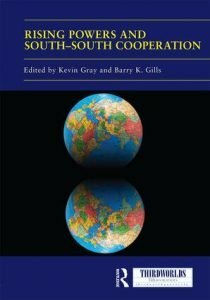 This book examines the extent to which a space has opened up in recent years for the so-called “rising powers” of the global South to offer an alternative to contemporary global economic and political governance through emergent forms of South-South cooperation. Contributions to this volume address the question of whether such engagement, particularly on a “South-South” basis, can be categorised as a “win-win” relationship, or whether we are already seeing the emergence of new forms of competitive rivalry and neo-dependency in action. What kind of theoretical approaches and conceptual tools do we need to best answer such questions?